Cafes and restaurants in Doha are definitely in for a more competitive environment. Aside from a seeming oversupply, the spending power of regular workers could also be affected by the recent economic and the ongoing political tensions in the Gulf area. But interestingly, it looks like it is not the case. Cafes are becoming even more creative in attracting customers and capturing their target market. Two months ago, a new coffee shop in Muntaza area has opened, adding up to the list of cafes sprouting all around Doha. Located in a modest side street along with car rental shops and travel agencies, one would not suspect a beauty that lies within them. Luckily, we passed by the area one evening and the hues of blue and the light bulb decor on its high ceiling immediately captured my attention. The thing is that, once i got curious, i wont stop ’til i satisfy my curiosity. And that’s the motivation to visit this place one afternoon. While my family is preparing to go to the mall, i decided to have a quick look at this beauty… and it did not disappoint me. 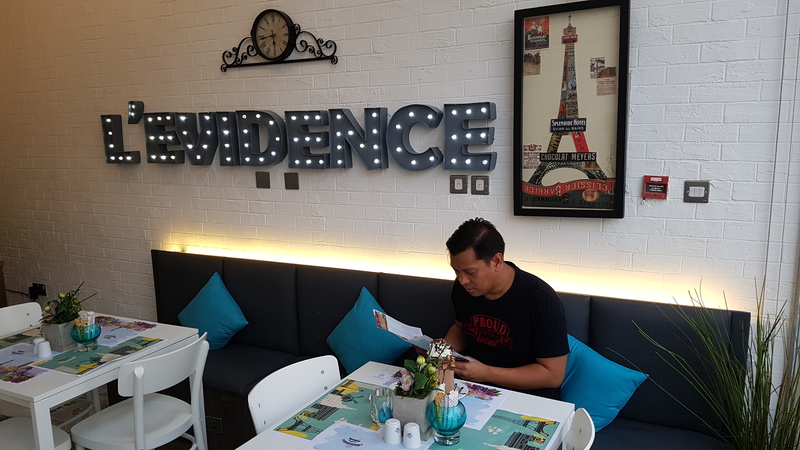 It is quite small but cozy… just perfect for a friendly chat or a late night coffee since they are open up to 2AM during weekdays and 24 hours on weekends. There are few tables upstairs and a restroom… which reminds me of the typical millennial cafes in Manila where students stay for review or to catch up with friends. 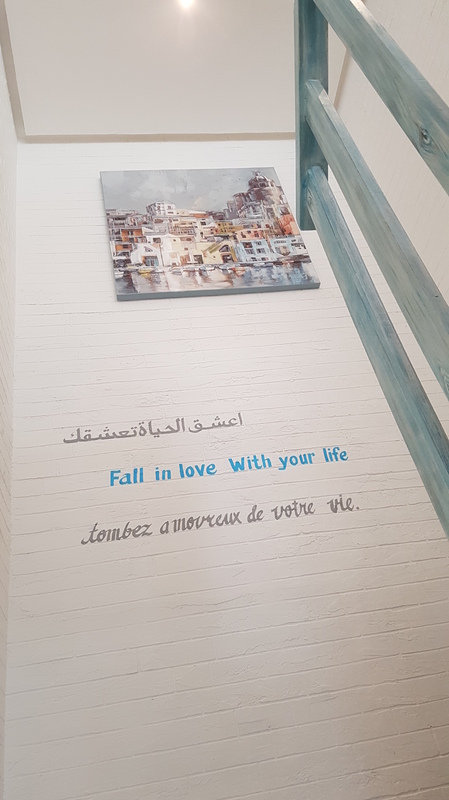 Though the location is a little unassuming and the lack of parking may be a challenge, it will definitely appeal to nearby residents, thosr who are coming from work late in the evening, or those wanting to have coffee after a nice dinner from nearby restaurants like Rotana, Max, Kishmish, and the likes. 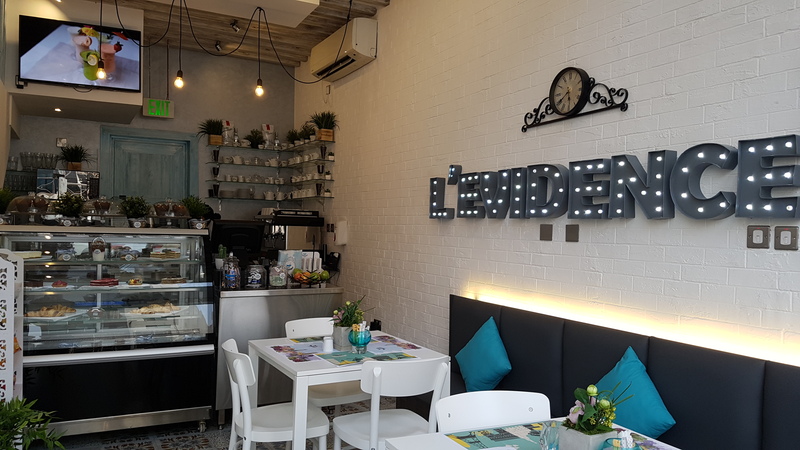 For more details, you may check out their social media account: FACEBOOK – Levidence Cafe Doha or Instagram – Levidence Cafe Doha.